Concrete is durable that’s why it has been a popular material for ground surfaces. Unfortunately, there are times when you need it removed. It may have been broken beyond repair or you want to replace your floor or any other surface. And if you’re still deciding whether it would be a do-it-yourself project or hire a professional for it, here are some points to consider tapping a pro to do it. The cause of the damage may differ. For instance, it could be unsettled ground or corrosion of the pipe. The latter is more likely when copper pipes are used, as copper can corrode easily. In going about the repair, it’s necessary to remove the concrete slabs that are directly above the pipes. This is because sewage line and water pipes are often underneath sidewalks or pavements. In specific countries in the Northern Hemisphere, rain can go on for weeks without ceasing. This may seem beneficial for plants after a drought, but too much water can damage them. So that the water would amass into a flood, property owners place additional drainpipes in the yard. To do this, it is necessary to dig trenches from the area to the sewage system. 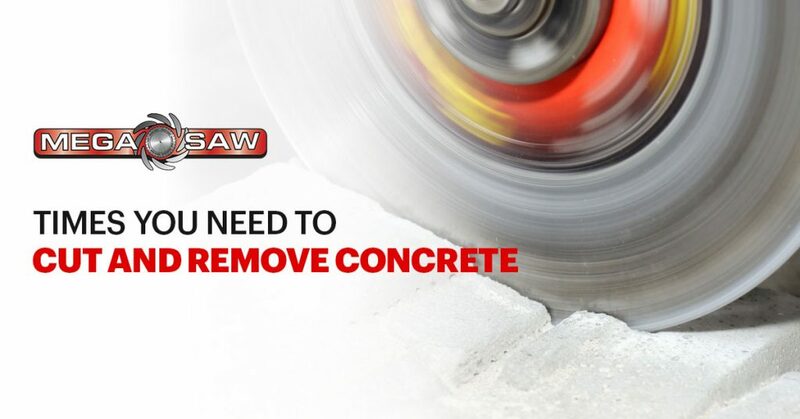 This is one of the most common reasons for you to enlist concrete cutting and removal services. For example, if you want to have a jacuzzi in the backyard, you need to remove the patio. With this, you need the removal of the concrete patio surface. In the same manner, when you’re building a swimming pool in the backyard, you would need to cut a concrete slab to make space for the pool and replace it with another surface. Windows typically have wood that expands and contracts to depend on the temperature. In most cases, the moving areas of the windows are painted over to “make them pretty”. However, these wooden and painted surfaces could get stuck, making the window immobile and useless. In the same way, wooden doors will contract and the painted hinges will become fused to the expanding wood. For both instances, you need to cut and remove the concrete. Professional concrete cutters will cut around the windows and doors; thus, reducing the tension on the item and remove any jamming. Concrete cutting and removal services are also needed to have access to crawl spaces. This access is usually necessary when laying down new electrical wiring or tinkering with the plumbing system.